Cummins Westport Inc. received international recognition in Washington, D.C. last week for its spark-ignited natural gas engine technology. Cummins Westport President Jim Arthurs accepted one of the ‘Energy Security Prize,’ Advanced Technology Awards from Securing America's Future Energy (SAFE). The award was presented at the OPEC Oil Embargo +40 – a one-day energy security summit held on the 40th anniversary of the 1973 OPEC oil embargo. 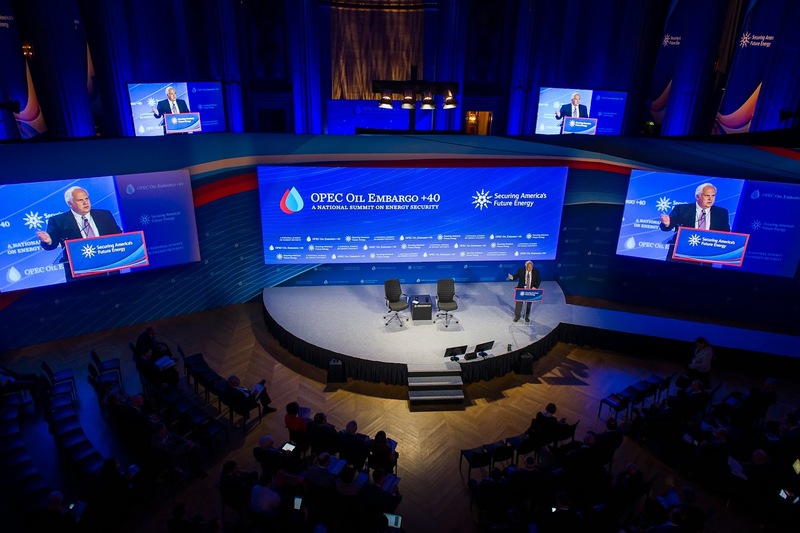 Photo Courtesy of Securing America's Future Energy (SAFE): Dr. Henry Kissinger, former National Security Adviser and Secretary of State, at the OPEC Oil Embargo +40 Energy Summit. The SAFE prize is designed to recognize emerging and advanced technologies which have the ability to significantly reduce dependence on petroleum-based fuels. The prize is designed to both recognize and reward innovators who are helping to find alternatives to oil dependence. Cummins Westport engines have been adopted by leading transit agencies, waste management companies and truck fleets and use 100 per cent compressed, liquefied or renewable natural gas. The summit brought together business and political leaders to discuss the state of U.S. energy security and the most promising technological solutions to reduce U.S. oil dependence. One of the day’s sessions titled: The Transportation Challenge: Who Can Beat Oil? featured Chairman of BP Capital Management T. Boone Pickens and President and CEO of Waste Management David P. Steiner, among others. Other attendees included Dr. Henry Kissinger, former National Security Advisor and Secretary of State, and Frederick W. Smith, Chairman, President and CEO of FedEx Corporation. 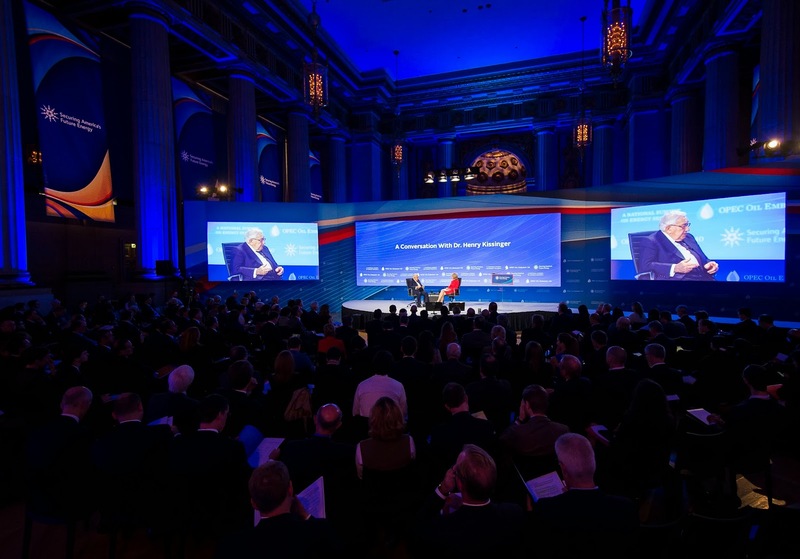 Photo Courtesy of Securing America's Future Energy (SAFE): Frederick W. Smith, Chairman, President and CEO of FedEx Corporation speaks at the one-day energy summit.